Turkey has many different non-Muslim and non-Sunni minorities (e.g. Alevis). However, the Turkish governments (such as the AKP government) have not done enough for effective protection of minority rights. EU considers that during the accession process, freedom of religion has become one of the most problematic issues for Turkey in terms of human rights. Moreover, EU has concerns about AKP’s agenda regarding of freedom of religion, and as a result of this, Turkey has had difficulties in two main areas in light of freedom of religion during the EU accession: the issue of the Alevis and the protection of Non-Muslim groups. This paper tries to explain the importance of these problems during the Turkey’s EU accession. Turkey was historically an important bridge between the East and the West, and it is clear that Turkey was an important country in so far as explaining the differences between two civilizations such as European and Asian or Christian and Muslim. Indeed, one of the most important momentums for the process of Europeanization is Turkey’s path towards accession into the European Union (EU) (Bogdani, 2011). Despite the early start of Turkey’s accession process in the 1960s, it gained speed during the 1990s. Arikan explains that after applying for full EU membership in 1987, the Copenhagen Criteria established and provided the future accession processes for Turkey’s process in 1993. However, there was a key problem during the 1990s and that was Turkey’s status a predominantly Muslim country (Arikan, 2003). The EU believes that freedom of religion has become one of the most problematic issues for Turkey during the accession process in terms of human rights. Moreover, the Justice and Development Party (AKP) which is called the Islamic Party won the legislative elections of 2002 election and since then it has been in power. The EU has concerns about AKP’s agenda in terms of freedom of religion, and as a result of this, Turkey has had difficulties in two main areas in light of freedom of religion during the EU accession: the issue of the Alevis and the protection of Non-Muslim groups (Ozdalga, 2008). The Alevis are a heterodox group which blesses the fourth caliph and son-in-law of the Prophet Muhammed, Ali. The followers of Ali are historically associated with this religious group. However, the Alevis come from different countries. For instance, Turkish Alevis’ rituals and beliefs are different from other forms of Alevis in other countries like Iran or Syria. Alevism is a religious group combining Anatolian folk Shi’ism with Sufi elements such as those of the Bektashi (Bilgili and Carkoglu, 2013). Moreover, it is also a group identity which is variously interpreted as cultural (emphasising special traditions of poetry, music and dance), humanistic or political. After the 1950s, Alevi communities have been alienated with the impact of orthodox Sunni religion under state control. Some of the Alevi communities were attacked by some groups such as ultra nationalist or Islamist groups which were not stopped by the state between the 1970s and 1990s (Ozdalga, 2008). Maras, Corum and Sivas (Madimak) massacres are some examples to describe this violation. Most of the Alevis were killed by Sunni Islamic and far right terrorist groups and the state gave indirect support to these terrorist groups during this time. “No improvement in the situation of non-Sunni Muslim communities has taken place. The official approach towards the Alevis is unchanged. Alevi concerns have not been taken up by the Presidency of Religious Affairs. 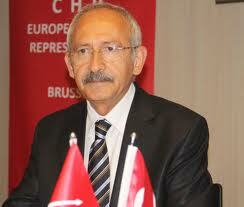 Particular Alevi complaints relate to compulsory religious instruction in schools and school books which fail to acknowledge the Alevi identity, and the fact that financial support is only available for the building of Sunni Muslim mosques and religious foundations.” (European Commission, 2001 Turkey Regular Report, p.27). From the perspective of the EU, the Alevi people have become considered as a new religious minority. Ozdalga points out that the EU reports and documents began to mention freedom of religion and minority rights and this situation caused negative impacts on different levels of Turkish society, political parties, and mass media. All of them rejected the criticism of the EU about the Alevi issue (Ozdalga, 2008). Nevertheless, this reaction did not stop the EU criticism again in following reports. For example, the 2004 Regular Report defined the Alevis community as a non-Sunni Muslim minority and this report notes that Alevis are still not recognised as a religious minority and it points out that as far as the situation of non-Sunni Muslim minorities is concerned, there has been no change in their status. Alevis are not officially recognised as a religious community, and they often experience difficulties in opening places of worship. In addition, compulsory religious instruction in public schools fails to acknowledge their non-Sunni identities (European Commission, 2004 Turkey Progress Report). The Ottoman Empire was a multicultural society in regards to its non-Muslim communities. However, cultural pluralism has transformed to a uniform structure in today’s society with the establishment of the modern Republic of Turkey as a nation state. From the first years of the Republic of Turkey up to 1990s, this establishment of the nation state resulted in many problems like population exchange (Nüfus Mübadelesi) or Wealth Tax (Varlık Vergisi) in terms of religion freedom (Ozdalga, 2008). Nevertheless, these problems did not impact seriously on the Turkey’s EU membership process seriously. Indeed, the issue of religion has become an important argument in the debate on Turkey’s accession to the EU only over the last two decades (Bogdani, 2011). As a result, freedom of religion has become one of the most important agendas for fulfilling the Copenhagen Political Criteria in terms of human rights and protection of minority rights. “Restrictions on the training of clergy remain. Neither the Turkish legislation nor the public education system provide for private higher religious education for individual communities. Despite announcements by the authorities, the Halki (Heybeliada) Greek Orthodox seminary remained closed. The Armenian Patriarchate’s proposal to open a university department for the Armenian language and clergy remained pending for a fifth year. The Syriac Orthodox community can provide only informal training outside any officially established schools. As regards participation in religious elections, in contradiction with European standards Turkish and foreign nationals are not treated equally in terms of their ability to exercise their right to freedom of religion by participating in the life of organised religious communities” (European Commission, 2012 Turkey Progress Report, p.24-25). It is clear that Turkey has many different non-Muslim and non-Sunni minorities like Alevis and Turkey should implement necessary policies regarding their rights. However, the Turkish governments such as the AKP government have not done enough to protect minority rights effectively. Moreover, Prime Minister Erdogan and other members of AKP government continue to give speeches against Alevis or other non-Muslim minorities. The European Union has been concerned about the threatening of religion freedom and protection of minority rights in Turkey. As Kirisci points out, Turkey needs the EU’s engagement to arrive at a more liberal balance between religion, politics, and secularism (Kirisci, 2008). Arikan, Harun (2003) “Turkey and the EU: an awkward candidate for EU membership?” , Ashgate. Bilgili, Nazlı Cagin; Carkoglu Ali, (2013), “A Precarious Relationship: The Alevi Minority, the Turkish State and the EU”, in Avci, Gamze; Carkoglu, Ali, (ed. ), Turkey and the EU: accession and reform, Routledge. Bogdani, Mirela (2011) “Turkey and the dilemma of EU accession: when religion meets politics”, I.B. Tauris. Kirisci, Kemal, (2008), “Religion as an Argument in the Debate on Turkish EU Membership”, in Dietrich Jung and Catharina Raudvere (Eds. ), Religion, Politics, and Turkey’s EU Accession. Palgrave MacMillan. Ozdalga Elizabeth (2008) “The Alevis – a “New” Religious Minority? : Identity Politics in Turkey and its Relation to the EU Integration Process” in Raudvere, Catherina; Jung, Dietrich, (ed.) “Religion, politics, and Turkey’s EU accession”, Palgrave Macmillan, pp.177-198.